All too often, I see artwork in homes that is hung too high. For spaces with 8' ceilings height, it is best to hang art, photos, or mirrors so that the top of the frame is at 72-76" from the floor. This will vary depending on the size and shape of the pieces. The art should be balanced with the furnishings and placed within your eye level. Combine art with non-art for visual interest and contrast. For visual simplify, place one large piece on a wall. For small pieces, hang them lower than 72" to top so that it will connect with the furnishing below it. 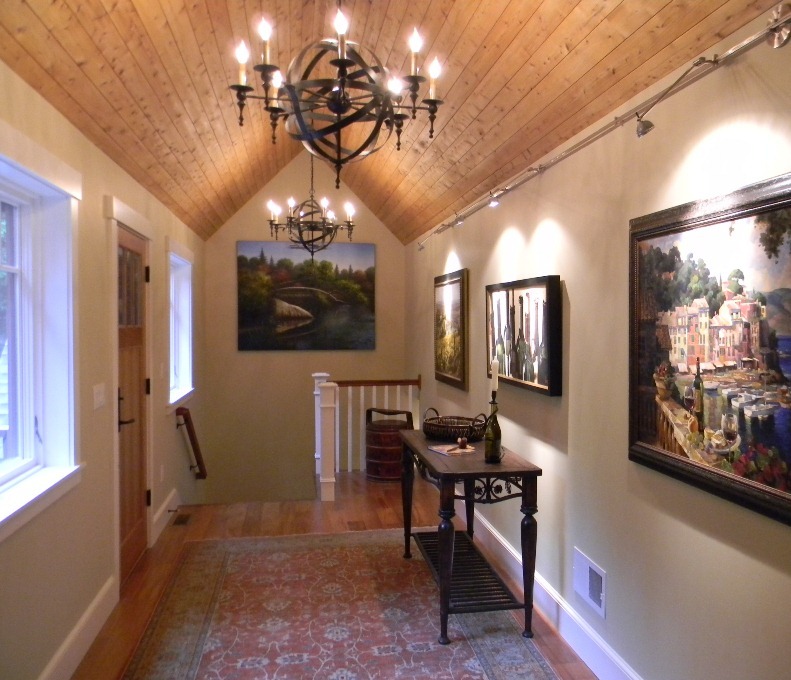 Always try to hang art at the end of a hall or space so that it creates a focal point. Hang horizontal pieces using a common center-line. Julie Fergus, ASID, is a nationally published interior designer. She creates beautiful and functional homes for Everyday Living with one-stop shopping. Contact Julie to schedule a complimentary "get acquainted" meeting to discuss your project and to learn about the 7 Steps to Design for Everyday Living.